This is the fifth and final post in our five-part series Five Ways to Make Your Supply Chain More Dynamic. We’ve previously looked at how finding actual costs is key to cutting out inefficiencies in your supply chain, how turning data into insight can drive better decision making and how true collaboration can lead to idea sharing not just information sharing and how an adaptable supply chain is a necessity in today’s environment, Today, we’ll discuss embracing change. After efficiency, adaptability is the most important thing a well-managed supply chain can offer. And fluctuating economic demands—as well as fickle consumer and business buyers—mean today’s small and mid-sized businesses must move beyond yesterday’s notion of what’s adaptable. Today, we must be prepared to change course daily, not quarterly, moving from this vendor to that vendor; forming mergers and partnerships; and scaling up and down as your suppliers, your market and your margins demand. Unlike some traditional ERP systems, Microsoft Dynamics adapts to how your supply chain works and changes, so it can easily support the addition of new warehouses, the acquisition of new companies, and other changes to the footprint of your business. And with powerful predictive analysis tools, it allows you to gauge the effect these changes will have on your entire business. There’s nothing more frustrating than when your existing systems cannot handle your growth. Or discovering your systems can’t adapt to the change that’s constant in every business. 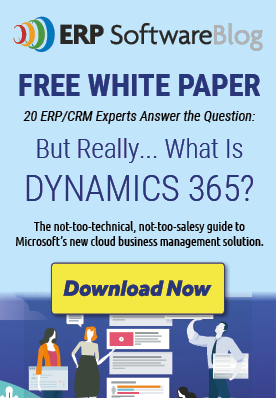 Microsoft Dynamics ERP can handle hundreds of thousands of transactions, so you won’t hit a ceiling in your capacity as your business grows. 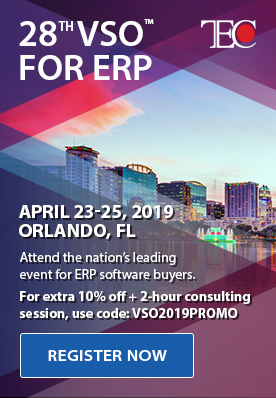 Speaking of growth, because Microsoft Dynamics ERP systems automate core supply chain processes, you can help your team be more productive, so you don’t always have to add costly headcount as your volume increases.